I had a quiet day at home, going to the shops at night. It was hot. I had a quiet day working from home. It was even hotter. I went for a walk up Mount Gravatt, and then drove to Maz’s place, where I stayed until midnight. I had half an apricot pie with ice cream and cream for breakfast, and felt very sick. Today was very hot. 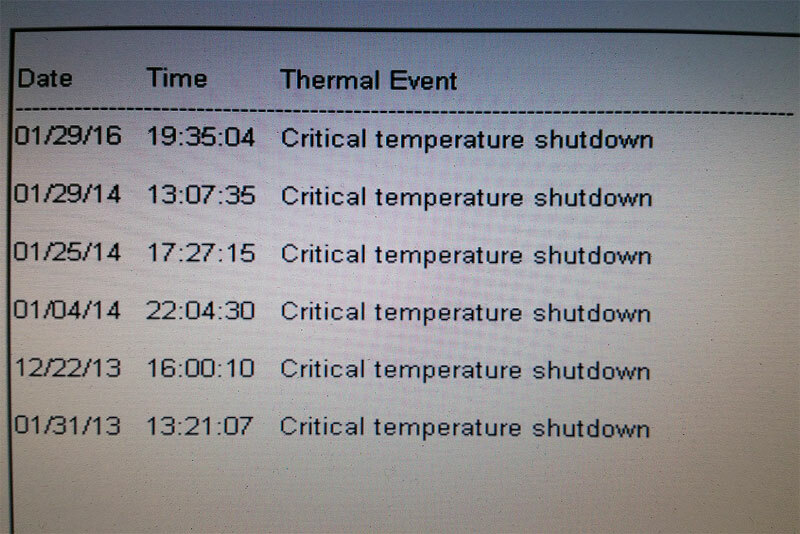 In fact, my laptop shut down due to a “thermal event”, which it had not done since this day exactly two years ago—thus proving that today has always been the hottest day of the year. Or that it’s clogged up with dust and I should clean it. I then went to make two minute noodles for dinner, and spilt a bag of frozen minted peas into them, so had peas for dinner instead, with a few noodles scattered through them for some flavouring. The forecast had been for death-defying storms, but nothing much happened other than a light sprinkle and some extreme humidity. Bronwen and I drove to Toowong Sizzler, where I ate many, many salad and many, many ice cream. After finding myself to be suddenly full, we drove to the city where Bronwen swapped her murderous Apple power adaptor for a boring safe one at the Apple store, and then we drove to ALDI to buy Australian toothpaste and have a debate about whether triclosan should be avoided or not—it seems that it reduces tooth decay marginally at the potential cost of aiding the rise of antibiotic resistant bacteria, harming bullfrogs, and in tests on (presumably very unhappy) animals it was shown to cause all sorts of problems (though to be fair, water has been shown to drown many animals, but is generally considered harmless to humans, so it does depend on the amount used).